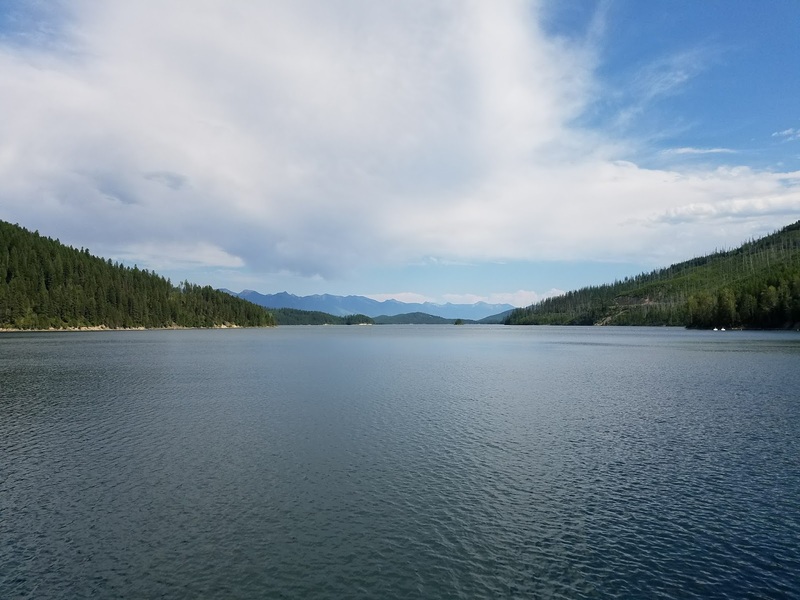 This post is one of six related to a Montana trip in July of 2017. 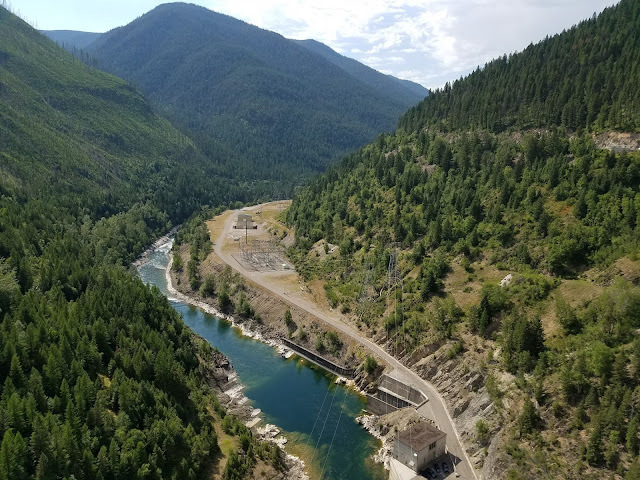 While in Montana we took a trip to view the Hungry Horse Dam on the South Fork of Flathead River. Tara's grandfather worked on the dam in the late 1940s until it was completed in 1952. 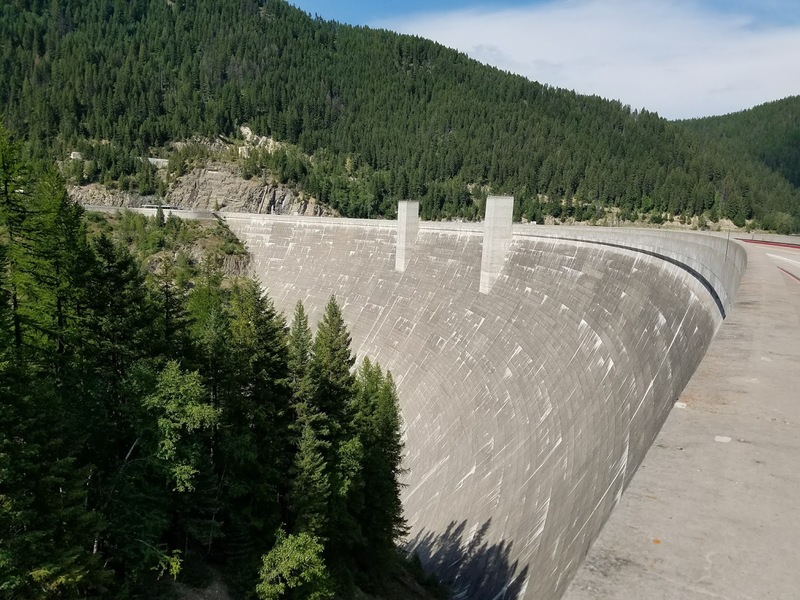 The dam was built for three reasons: to provide water storage that could be used to increase hydroelectric output at the Grand Coulee and Bonneville Dams on the Columbia and also provide electricity and flood control to the Flathead Valley. 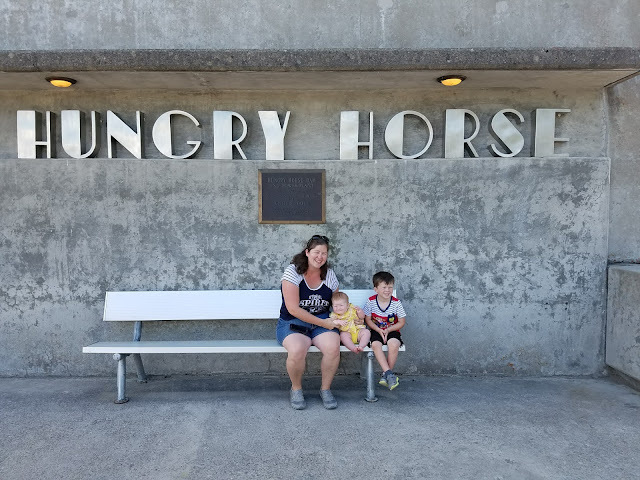 At 564 feet high Hungry Horse is one of the largest concrete arch dams in the United States. At 490 feet the morning-glory spillway is the largest in the world. In the past visitors used to take tours inside the dam but since 9/11 critical infrastructure has been closed. 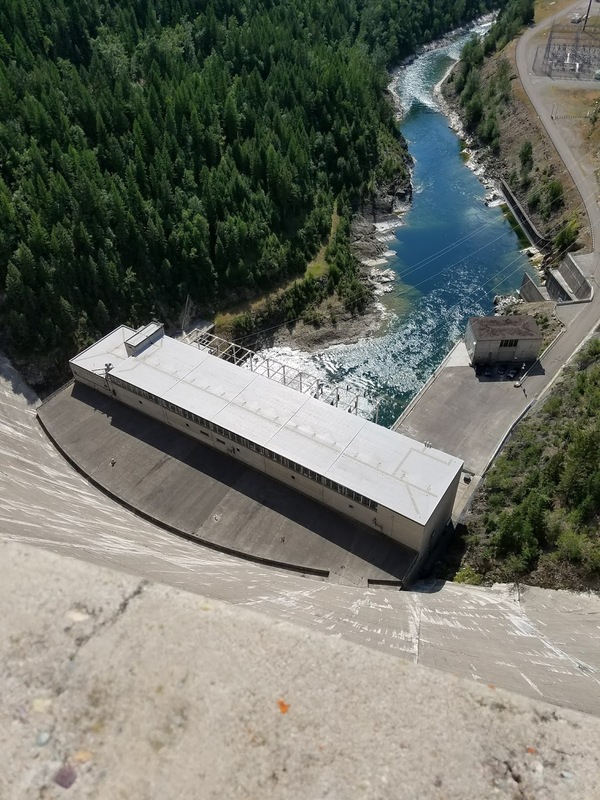 Today visitors can get information at a visitor center and walk across the top of the dam. The reservoir is popular with boaters and hikers/campers have access to the backside of the Swan Range as well as The Great Bear Wilderness.